Nice brown filly out of a Gold Fingers bred mare that is a super cow horse. The sire is a nice son of Playgun that Ron Bernt owned. This filly should be a top cow horse and using horse. 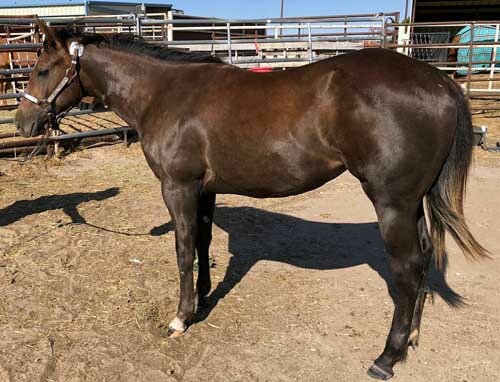 She will be eligible for the 2020 High Plains Ranchers & Breeders Association Futurity.